The first anniversary of the partnership between ES-KO and Sonema is a good time to make an assessment of joint activities since October 2013 and to explore development perspectives. Both partners are pleased to share positive results following joint promotion activity of complementary solutions for services to the oil & gas industry, and for construction projects around the world (camps, hotels, hospitals, schools) with a focus on humanitarian and peace-keeping operations. It is within this framework of cooperation and complementary expertise that Sonema put its know-how at the disposal of ES-KO’s operations in DR of Congo. This resulted in essential telecom means and the most suitable technology for ES-KO’s requirements in support of the rations operations for MONUSCO. 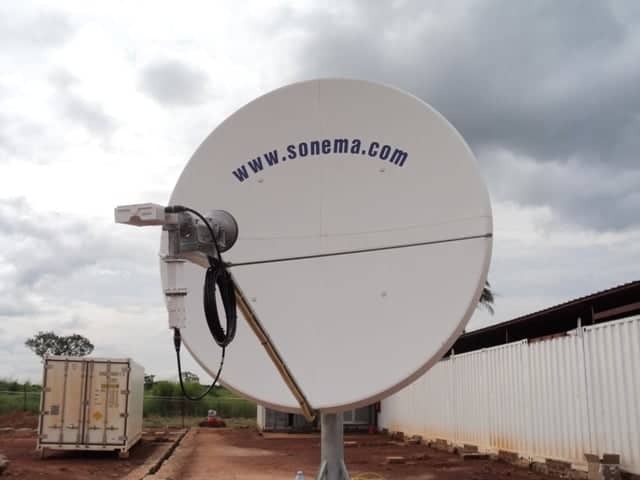 Sonema is ES-KO’s local provider of phone services and of high-speed Internet in Bunia, Bukavu, Goma, Beni, Dungu and more recently Uvira, allowing daily management and transmission of data and activity reports from sites to HQ in Monaco. ES-KO’s internal business specific logistics applications are handled and 100% secured through Sonema’s VSAT network at all times. Beyond the optimization of ES-KO’s professional activities, ES-KO staff members in the DR of Congo are also beneficiaries of zero defect connectivity allowing communications with their relatives. It is envisaged that three new VSAT stations will be deployed in South Sudan for operations in support of UNMISS. The common values and corporate culture shared by ES-KO AND Sonema are all the better synergies encouraging a strong and sustainable alliance.